Arabian Gulf League champions Al Jazira are prepared to field offers for Brazilian winger Leonardo just six months since buying him. 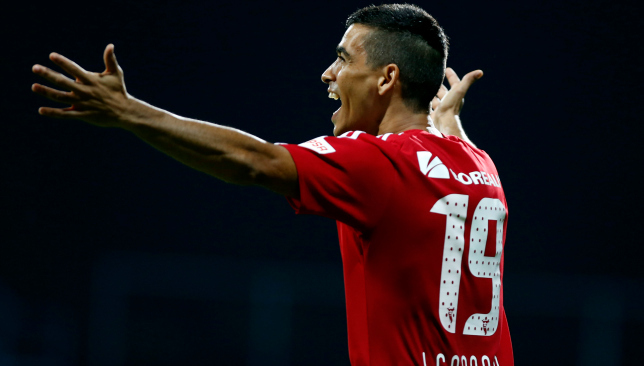 Leonardo, 30, scored six times in 14 top-flight run-outs after he was recruited from 2016 AFC Champions League winners Jeonbuk Hyundai Motors of South Korea for a cut-price €3.8 million (Dh14.7m). Despite making a positive impact in Henk ten Cate’s resurgent side, intermediaries and agents have been informed he could be made available for loan or permanent transfer as changes to the four-player non-Emirati quota are considered. The Pride of Abu Dhabi are close to confirming the exciting capture of dynamic Uzbekistan winger Sardor Rashidov from dissolved Qatari club El Jaish. They have already wrapped up impressive free transfers for ex-France defensive midfielder Lassana Diarra and Al Ahli forward Ahmed Khalil – the 15-goal second-top scorer during World Cup 2018 qualification, for the UAE. A potential new team for Leonardo could be found in Saudi Arabia, where Al Nassr have been strongly linked following last week’s decision to increase the foreign quota there to six from four. For Jazira, they are exploring the possibility of securing a switch for Jaish’s electric Brazilian forward Romarinho. The 26-year-old has rocketed in 40 Qatar Stars League goals in 72 appearances since a €7.5m (Dh36.2m) transfer from Corinthians in September 2014. He could yet be made surplus to requirements at the new Al Duhail, following April’s merger between Jaish and QSL holders Lekhwiya. Leonardo scored four goals in his first three games in the UAE, but his influence waned with just two more in his final 11 matches of 2016/17. If Leonardo is allowed to exit, it will continue Jazira’s capricious behaviour with foreign buys. Brazil playmaker Thiago Neves and Chile forward Jefferson Farfan left after little more than a year last winter. Jazira have chosen not to renew the expired deals of South Korea anchorman Park Jong-woo and Brazilian attacker Ailton Almeida. Sweden centre forward Marcus Berg’s hopes of pushing through a moneymaking move to Al Ain received a significant boost on Friday night when Panathinaikos vowed they are “willing to work for a compromise”. Berg, 30, was ordered to leave the Garden City in midweek after he spent time agreeing a three-year deal, worth €3 million (Dh12.3m) per annum, and viewing accommodation. The 2016/17 Superleague Greece’s 22-goal top scorer had travelled in the belief that a €2.5 million (Dh10.3m) switch was imminent, but his current employers raised their “perfectly reasonable” demands to €5.2 m (Dh21.4m) – a fee the Boss baulked at. The ex-Hamburg and PSV Eindhoven star’s hopes of inking the most-lucrative deal of his career appeared over, prior to a desire being communicated that a reduced figure closer to €3.5-4m (Dh14.4-16.5m) would be acceptable. 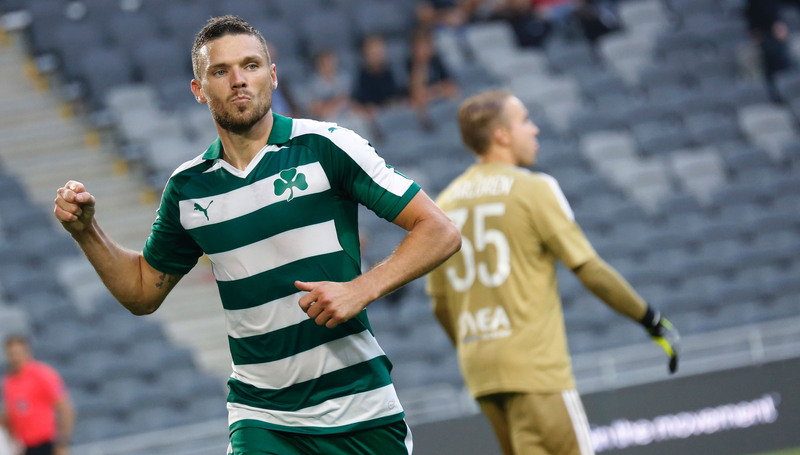 “Panathinaikos did not intend to sell Marcus Berg,” read a club statement about the target man who has struck 12 times in 47 internationals. “But for his own reasons, he chose another path. If secured, Berg would present a significant improvement up top for a club who have struggled to replace the iconic Asamoah Gyan since his July 2015 sale to China’s Shanghai SIPG. Berg has scored 73 times in 116 top-flight games since his July 2013 arrival in Athens, plus he started June 9’s 2-1 victory for Sweden against France in World Cup 2018 qualifying. Only Brazilian winger Caio, 23, will be retained from last term’s four-player foreign quota as Al Ain aim to dramatically improve during Croatian coach Zoran Mamic’s first full season in charge after a disappointing fourth-placed finish in the Arabian Gulf League. Japan centre-back Tsukasa Shiotani of Sanfrecce Hiroshima has replaced South Korea anchorman Lee Mung-joo after three years of exemplary service. The club had no desire to retain Saudi Arabia striker Nasser Al Shamrani, despite a four-month loan spell from Al Hilal – their 2017 AFC Champions League quarter-final opponents in two months – containing eight strikes in 10 AGL games. Turkey’s Bursaspor have bid €1.5m (Dh6.2m) for erratic Colombian winger Danilo Asprilla. Meanwhile, Shabab Al Ahli Dubai Club’s inaugural roster has continued to take shape after Moldova forward Henrique Luvannor inked an extension. Brazil-born Luvannor, 27, tweeted he had “no idea what’s happening” in the immediate aftermath of last month’s shock merger. But a return of 25 goals in 67 AGL games at Al Shabab has convinced Romanian supremo Cosmin Olaroiu to retain him in the non-Emirati quartet, alongside his ex-Al Ahli charge Makhete Diop of Senegal. We are the champions: Al Ahli with the Arabian Gulf Cup (Chris Whiteoak). The next season of domestic action in the UAE is scheduled to kick-off with a reformatted Arabian Gulf Cup on September 4 after the Pro League Committee revealed its calendar on Tuesday for 2017/18. For the first time since 2011/12, the top flight will drop down to 12 teams following last month’s shock merger of Al Shabab, Al Ahli – the AGC holders – and promoted Dubai CSC to create Shabab Al Ahli Dubai Club. This call has instantly impacted the nation’s secondary cup tournament. It will now be played out in two groups of six, with the top four from each meeting in the quarter-finals – previously, only the first two teams progressed from the pools to the semi-finals. 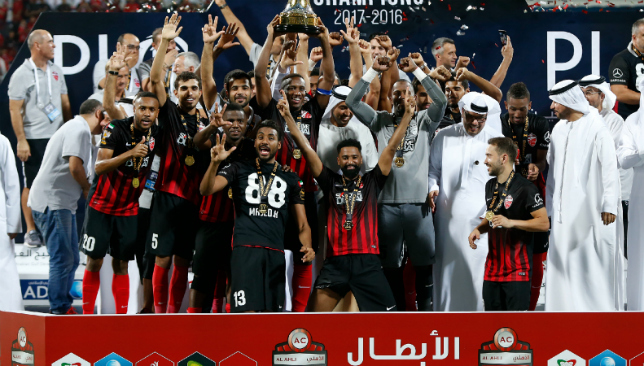 Elsewhere, the Arabian Gulf Cup between Arabian Gulf League winners Al Jazira and President’s Cup champions Al Wahda will take place on September 15 – a decision on venue is yet to be made. The top-flight entertainment begins a day later, with all domestic play set to end on April 29 to give time for World Cup 2018 preparation. Al Ain and their opponents will be the only teams to feature on September 4 because of the Boss’ commitments in the 2017 AFC Champions League’s quarter-finals. The rest of the participants will take to the field on September 8 and 9. Another alteration for next term is the introduction of online ticket sales. This is viewed as an important method of increased revenue generation as the competition moves away from hard ticket sales.